Share the exhilaration of spending a day at Qatar’s natural wonder, Purple Island Mangroves reserves. 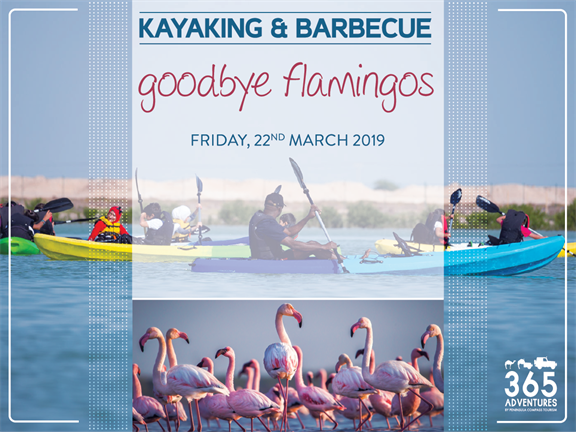 The 90-minute thrilling kayaking experience brings you close to nature in the most eco- friendly way with a live BBQ buffet meal. Enjoy a perfect weekend with your friends and family surrounded by the gorgeousness that is Purple Island. Bring towels, extra clothes to change afterward, waterproof camera, sunscreen, hat etc. When we meet up at Al Meera supermarket, you'll get to follow us by your cars to our launching point (20-minutes ride). There is off road but small cars can also go.